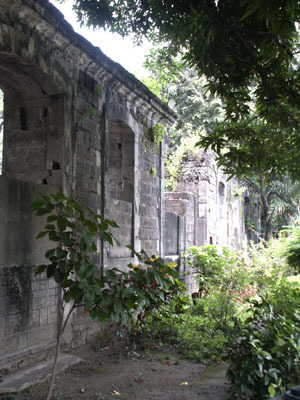 One of the oldest sights in Manila is the magnificent Fort Santiago. 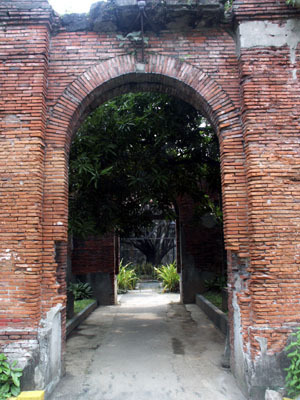 Located at the northern tip of the walled city of Intramuros ("within the walls"), the first fort was built in 1571 on the site of a Muslim palace destroyed by the conquistadors. 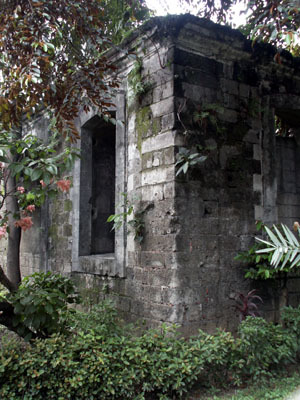 That log fort was in turn destroyed by a Chinese invader, and the current stone structure replaced it in 1592. 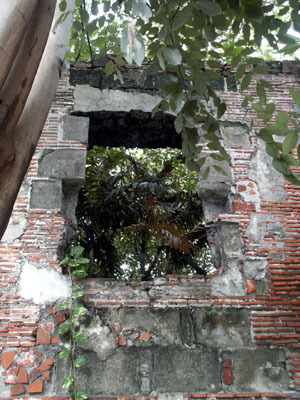 Further damage occurred when the American and Filipino forces shelled it to dislodge the Japanese, who had occupied it during World War II. 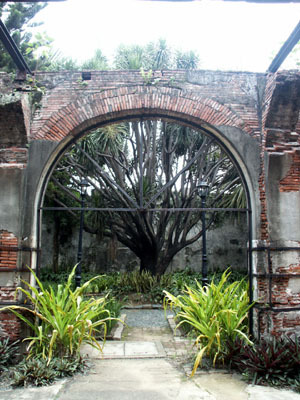 Some of the buildings have been restored. 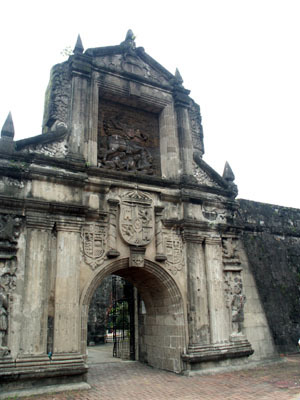 When you see the magnificent front gate (above), you expect just another reproduction of history. However, as the brief sketch above indicates, the place should be more rubble and ruins than refinement. And I'm pleased to say, it is. 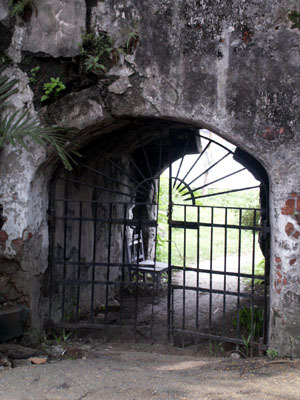 The pictures below, rather than concentrating on the good-as-new restorations, seek to show the beauty in the decay of the old fort.